Are you a DIY, up-armored bulldozer enthusiast? Does the thought of someone blocking your driveway make your blood boil? Do you like collecting funny morale patches? 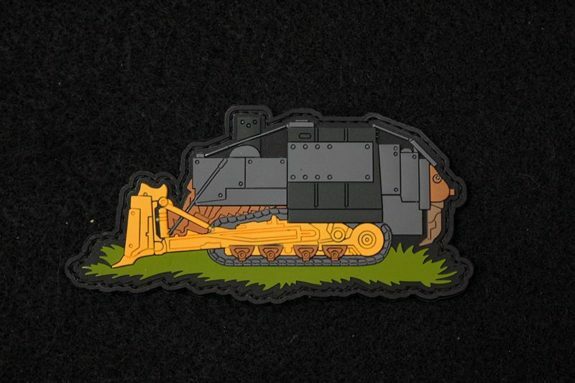 If you answered “yes” to any of these questions you’ll probably love the new Killdozer Patch from Stickthison.com. Killdozers don’t fit in standard sized Christmas stockings… but Killdozer Patches do!